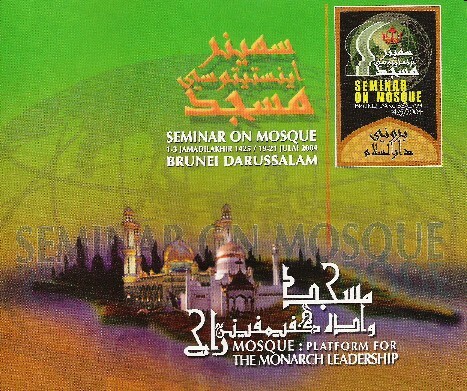 The Seminar on Mosque entitled "Mosque: Platform for the Monarch Leadership" was held at the International Conference Center in Bandar Seri Begawan, Brunei Darussalam from 1st to 3rd Jamadilakhir 1425/19th to 21st July 2004. 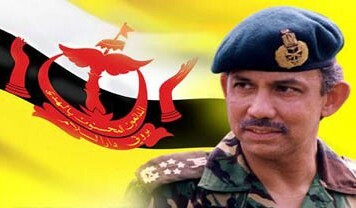 It was organised by the Prime Minister's Office of Brunei Darussalam and co-organised by the State Mufti's Office, Mosque Affairs Department of the Religious Affairs Ministry, Universiti Brunei Darussalam and the Brunei Darussalam Islamic Dakwah Centre. A total of fourteen (14) papers from various local Brunei speakers including the Brunei Darussalam State Mufti, Indonesia, Malaysia, Singapore and Thailand were presented during the seminar. Important Note: All the following papers are in pdf format and can be downloaded but please note that usage of any papers downloaded from this website are subject to copyright (c) rights which belong to the original writers of the papers. Please acknowledge the writers if you need to quote them and write to them for permission if you wish to use their papers.